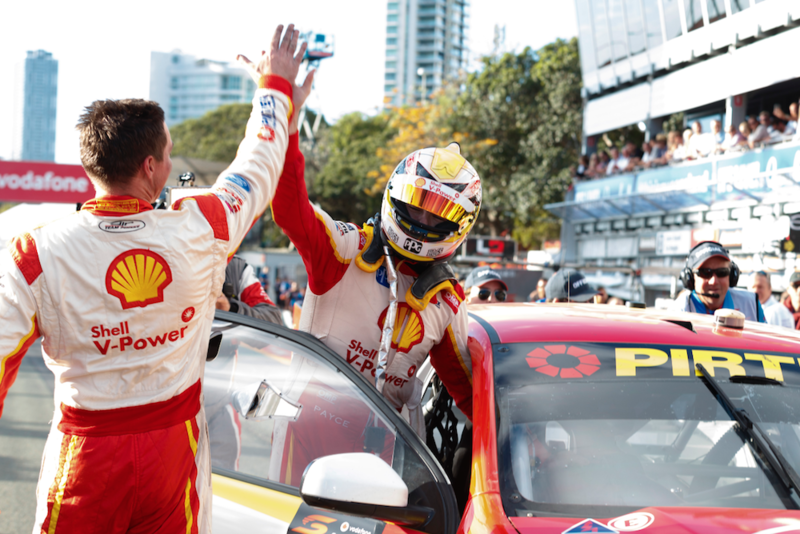 What looked like a disastrous weekend for Shell V-Power Racing turned around in dramatic fashion on Sunday afternoon, with the team pulling off a remarkable victory. Heading to the Gold Coast on a run of 18 consecutive front-row starts, seeing McLaughlin qualify 12th and 13th for the two races was a major shock. Co-driver Alex Premat had a nightmare on Saturday, complaining bitterly of the heavily-wet conditions before spinning and narrowly avoiding being wiped out completely. By luck, there was no major damage and McLaughlin recovered to finish 12th. On Sunday, however, the team made its own fortune. Premat starred – cutting through to fifth by the pistops – and a bold fuel strategy that appeared to catch Triple Eight asleep at the wheel scored McLaughlin the win. 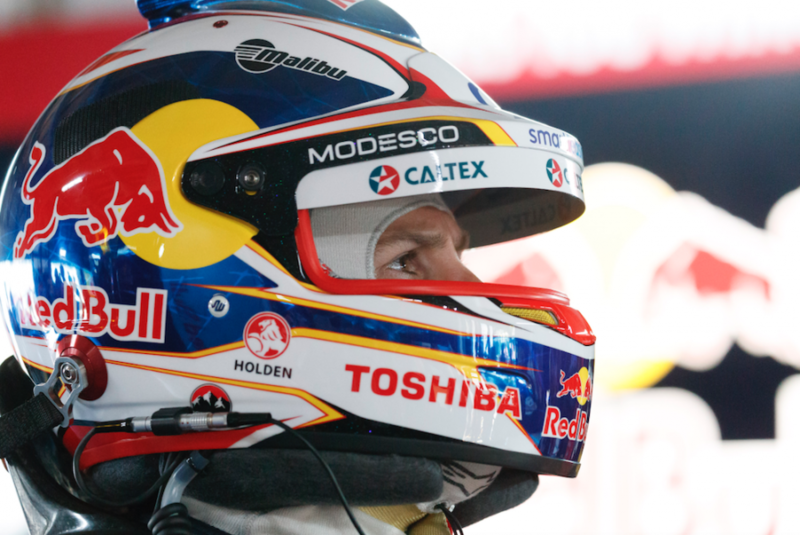 Jamie Whincup has proven time and time again during his six championship victories that he’s a win-or-bust kind of driver. So it’s somewhat unusual that he’s clawed his way to the top of the title race for the first time in 2017 through consistency rather than wins. 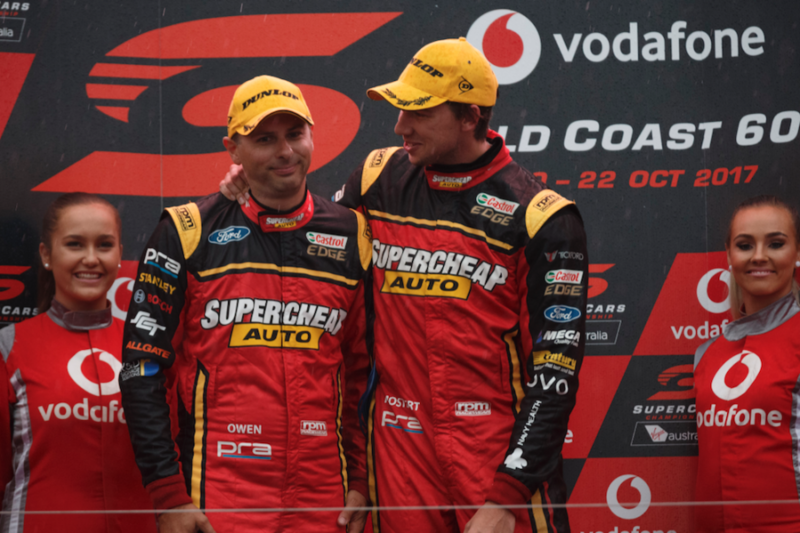 He remains with just two victories for the season, but a sixth place – scored despite co-driver Paul Dumbrell’s clash with Steve Owen and subsequent penalty – and a second at Surfers was enough to take the ascendancy. In that context, Whincup declared himself pleased with Sunday’s result, but one wouldn’t blame him if he felt a bit hard done by. Regardless of how good the #17 Ford’s economy was and whether the early stop was a risk, Whincup was called in a full four laps later, which was two after his Triple Eight team-mates. Questions over whether Fabian Coulthard could hold the 91-point advantage that McLaughlin and Whincup’s Bathurst misfortune had gifted him were answered in just one round. The Gold Coast was a disaster for Coulthard, who now enters Pukekohe 17 points adrift of Whincup and just 10 ahead of team-mate McLaughlin. A lack of qualifying speed made both races severely tough going. The #12 Ford gained even more places during Sunday’s race than its team-mate, but starting 22nd meant few noticed. It was Coulthard’s late-race hit on Nick Percat on Saturday, however, that was the true low point. The subsequent penalty cost nine places, marking a loss of 30 points. The fact that Percat snubbed his attempted apology immediately after the race only added insult to injury. On the positive front, Pukekohe was a strong circuit for Coulthard last year, and this week’s birth of his twins may prove the perfect distraction from the pressures of the title fight. Momentum is against him, but Coulthard is far from out of it. Steve Owen’s triumph in the PIRTEK Enduro Cup was a win for the low-risk, low-fuss approach to co-driving for which he is known. In both races on the Gold Coast, the 42-year-old didn’t look exactly comfortable starting towards the front of the pack. Off pole on a wet Saturday, he was 15 seconds adrift of leader Andre Heimgartner when he was punted from second place on lap 29. And starting fifth on Sunday, Owen was eighth by the time the co-driver laps ended. But on both occasions he held his nerve and drove within his limits before letting Chaz Mostert take over and do his thing. The likes of Richie Stanaway, Luke Youlden, Premat, Matt Campbell and even Dumbrell had moments of stardom throughout the Enduro Cup, but came undone at critical moments. 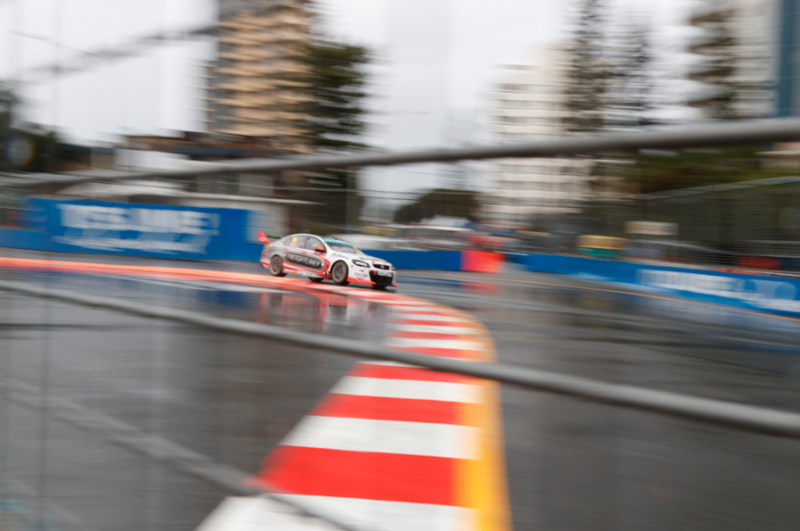 Stanaway was the weekend’s biggest case in point as, on course to win the Enduro Cup alongside Cameron Waters, an attempted pass on the final lap of his stint spelt disaster. 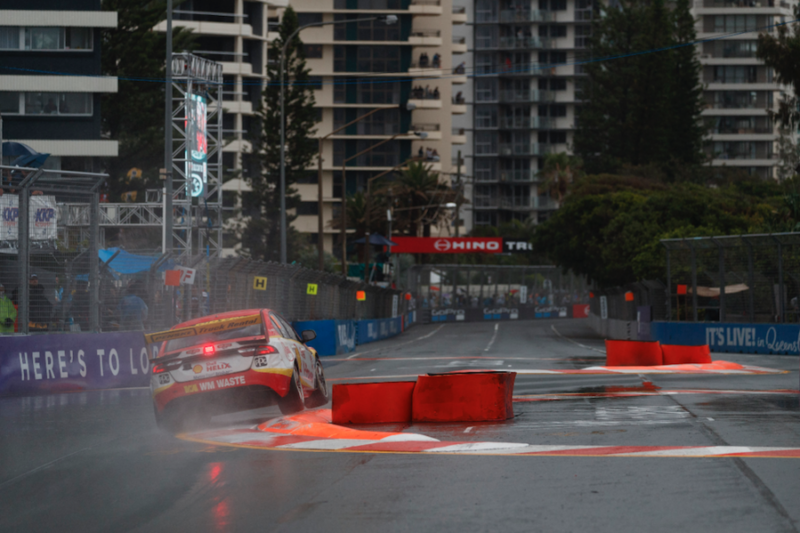 Owen’s efforts have helped Mostert play right into the championship fight, moving from 264 points down heading to Sandown to just 126 adrift leaving the Gold Coast. After a Bathurst that delivered Safety Cars for kangaroos and fallen rocks, and some 250km/h squeegee work from the Red Bull drivers, one may have thought they’d seen it all. But somehow on the Gold Coast, things appeared to get wackier. The fact that Tim Slade and Andre Heimgartner lost the lead on Saturday due to their air jack falling into a divot in the pitlane was another blow for BJR in its trying season. Knowing he’d have had a tough time holding out Mostert anyway made it an easier pill to swallow for Slade, but even so it was a shame not to see them at least be able to fight it out. In the same race, Mark Winterbottom was dealt a drive-through after suffering the rare embarrassment of making contact with team-mate Mostert in pitlane. And then there was Sunday, when Prodrive deduced during the last stint that the slope of their pitbox had resulted in an accidental short-fill at the Supercheap entry's second stop, forcing Mostert to save fuel during the run home. A special mention, too, in this segment to Youlden, who after the glory of Bathurst suffered the indignity of being hauled out through the driver's window backside-first after a brush with Premat in his first stint on Saturday. The fact that his crash on Sunday again meant the door wouldn’t open when he returned to the garage only added to the calamity.